Eugene Richards’s seventh book, Cocaine True, Cocaine Blue reaffirms his position as the premier chronicler of the dark side of American life. In it, he examines the ravages of drug addiction in three poor East Coast neighborhoods with the kind of precision and empathy that have netted him a long string of prizes. More than any other photojournalist working, he is the true heir to the mantle of the legendary W. Eugene Smith. Eugene Richards was born in Dorchester, Massachusetts. After graduating from Northeastern University with a degree in English and journalism, he studied photography with Minor White at the Massachusetts Institute of Technology. In 1968 he joined VISTA (Volunteers in Service to America) and was assigned to eastern Arkansas, where he helped found a social service organization and a community newspaper, Many Voices, that reported on black political action and the violence of the Ku Klux Klan. After publication of his first two books, Few Comforts or Surprises: The Arkansas Delta and Dorchester Days, Richards began working as a freelance magazine photographer, undertaking assignments on such diverse topics as the American family, drug addiction, river blindness, pediatric AIDS, abuses within the meatpacking industry, and aging and death in America. But Richards is perhaps best known for his later books. Exploding Into Life, which chronicles his first wife Dorothea Lynch’s struggle with breast cancer, received Nikon’s Book of the Year award. For Below The Line: Living Poor in America, his documentation of urban and rural poverty, Richards was named Photojournalist of the Year by the International Center of Photography. The Knife & Gun Club: Scenes From an Emergency Roomreceived an Award of Excellence from the American College of Emergency Physicians. 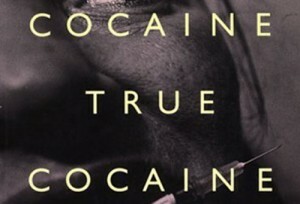 Cocaine True, Cocaine Blue, an extensive reportorial on the effects of hard-core drug usage, received the Kraszna-Krausz Award for Photographic Innovation in Books.